As smart cities are becoming more and more prevalent around the world, we also see an increasing number of new innovations in design and technology. However, it is often easy to simply associate ‘smart’ with buildings or cities that run in automation or with robotics and provide connection to data and services in order to improve services and eco-friendliness. Just like many city government-led projects around the world, such technological innovations can be found in Panasonic’s smart city projects – but it doesn’t end there. While most cities are made ‘smart’ through integrating technology into already-existing lifestyles, Panasonic’s housing solutions is using its innovations in design and technology to offer a new, redefined lifestyle that connects residents not only to information but also to each other and the particular environment in which we reside. 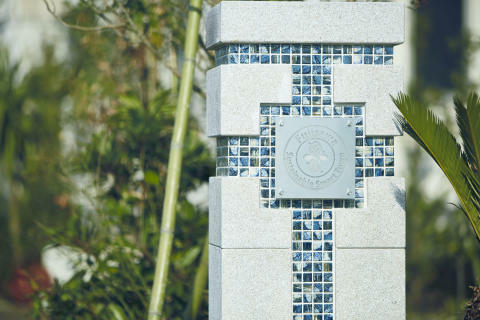 Looking closely at Panasonic’s smart city project Fujisawa SST as an example, the city has been developed to carefully integrate the environment. In addition, the layout promotes a natural breeze that stems from the nearby ocean through the streets and paths, which helps cool the town and its buildings in an eco-friendly manner as well as connects residents with each other and town management in a natural manner. As the town is designed in a cylindrical fashion with a limited number of entrances and exits, breezes flow into the city without the ‘wind tunnel’ effect found in many already-established towns and cities. Such design also leads to the sense of safety and sense of connection among the town residents. In addition to this natural security, the town also integrates a virtual security system through multiple cameras to keep a low-profile watch of the area, providing a safe but non-obtrusive environment for its residents. 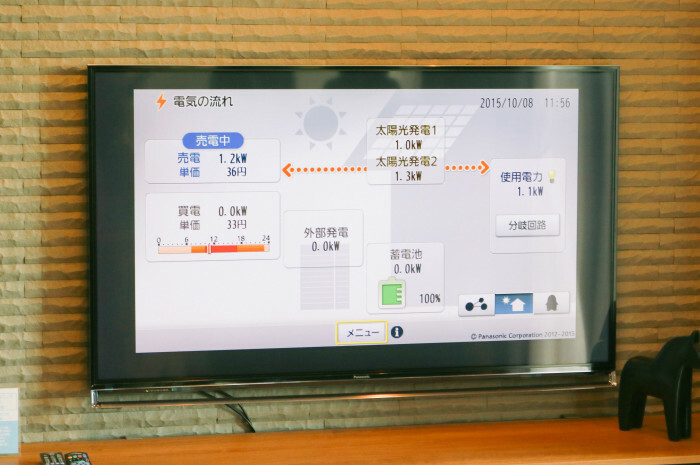 To ensure that the town can provide a comfortable eco-friendly lifestyle, each home of Fujisawa SST is installed with Panasonic’s solar panels and storage batteries – as well as a portal system that allows households to monitor their respective energy usage. And smarter living becomes even more personal through the provision of not only applicable hardware but also a system that helps motivate residents to take more initiative in leading eco-friendly lives. Other services offered through this smart town ensure technology does not cause a divide but rather promotes community building. Through a resident-only community service platform, homeowners can also easily interact with their neighbours or learn about town group events through their mobile phones to further solidify community ties. In addition, mobility services offered by the town allow reservation of electric cars and bicycles – making sure residents in the community can enjoy an active lifestyle within and outside of the community. By integrating these added services as a definition of requirements for a smart city, the Panasonic Group is striving to build the foundations for a new way of sustainable living – where Fujisawa SST and other smart cities by Panasonic will serve as a benchmark for the rest of Asia. To find out more about smart city initiatives by Panasonic, subscribe to this blog or visit our LinkedIn to share your thoughts and ideas on what makes a smart city and how ASEAN cities can benefit. In recent years, Asia has seen much advancement in eco-friendly and sustainable building technologies, from establishing government regulations to support green building, to the development of entire smart cities. Here's a top down look at how green building technologies have developed in Asia over the last decade. As digital technologies get more and more integrated into our way of life, these smart cities offer a glimpse into the future of sustainable living. Is the choice between a “net-zero” home and high energy bills (and inadvertently contributing to global warming) an easy one to make? Where is Green Building Headed in SEA? As the world's population increases, more and more people in urbanised areas. Sustainable building is now entering the mainstream as a way to conserve natural resources, save costs in the long run and support population increase in major countries around the world. 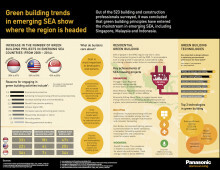 We take a look at where green building is headed in Southeast Asia. Sustainable residential design: Is it worth the money? One of the main reasons why home builders don't embrace sustainable design is because of the extra costs involved. However, while the initial cost of a sustainable home may be higher, if you look at this as an investment in future savings, the picture changes. In the long run, a sustainable home is a more economical home. ​Billed as the future of urban living, “smart” cities have been on the horizon—and the drawing board—for more than a decade. But this new breed of digitally integrated metropolis, in which embedded technology is used to enhance standards of living and sustainability, is no longer a mere pipe dream as the first wave of “smart” cities has come to fruition in a variety of locations around the world. Though there may be some who continue to debate its very existence, it is difficult to deny that climate change is one of the defining issues of our time. And while tackling the problem relies largely on governments making changes at a global level, increased awareness of the causes of climate change has led to a seismic shift in mindset at the consumer level. Energy needs pose various challenges for ASEAN countries as economic development reaches unprecedented growth in the past 25 years. Read how each country has been looking at opportunities in renewable resources.